The New York Times' Mark Mazzetti shares details about a new report he co-wrote, which says some members of special counsel Robert Mueller's team have told associates that Attorney General William Barr did not adequately portray the findings of their investigation. The investigators said Barr, in his memo to Congress, did not adequately portray the results of their nearly two-year investigation into Russian interference in the 2016 election, the Times reports, according to government officials and others familiar with their frustrations. 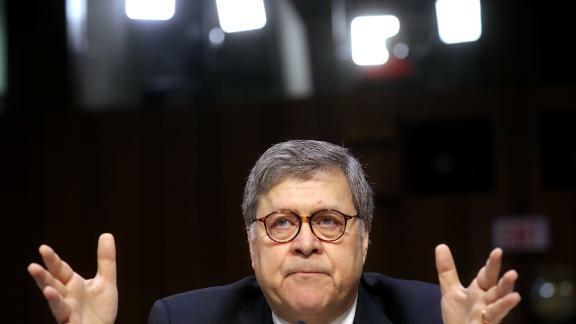 Investigators have concerns that Barr was able to shape the public's initial views of their report with his memo and now, without the report being made public, they are set in that narrative, according to the Times. Those interviewed by the Times declined to fully explain why the Mueller investigators believe their findings were more damaging to Trump than Barr disclosed. Mueller's team is comprised of 19 lawyers, about 40 FBI agents and other personnel, and the Times notes it is unclear how prevalent the frustration is among the team. It is also unclear how extensively Mueller and his team spoke to senior Department of Justice officials about how their findings of the investigation would become public, the Times notes. Barr's memo reads, "The Special Counsel's decision to describe the facts of his obstruction investigation without reaching any legal conclusions leaves it to the Attorney General to determine whether the conduct described in the report constitutes a crime." Barr said last week Mueller's report will be released to Congress and the public by "mid-April, if not sooner." Barr has also offered to testify shortly after the report is released. Barr and his team are frustrated with Mueller and his investigators, and believe his report should have concluded whether Trump illegally obstructed the probe, according to the Times, citing two government officials. Some Mueller investigators believe Barr should have included more material from their actual report in his memo to Congress, according to government officials familiar with the investigation who spoke to the Times. DOJ representatives and the special counsel's office declined to comment to the Times on the views inside both Mueller's office and DOJ.